A book is a collection of pages -- and a work of art to boot -- collected between two covers. A book is constructed of paper and ink, and includes, often, hundreds of pages, a cover, and perhaps a dust-jacket. Science fiction and horror are literary forms, in a very real sense, and so it is not a surprise, perhaps, that books have been featured prominently in cult-television history. Rod Serling's anthology The Twilight Zone (1959 - 1964) features at least two episodes that concern, explicitly, books. 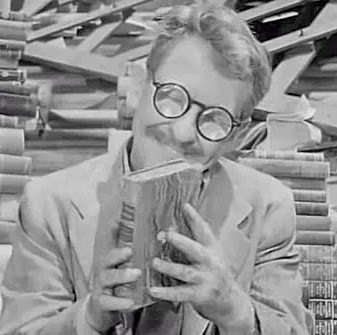 The first "Time Enough at Last," is about a man, Henry Bemis (Burgess Meredith) who desires nothing more than time to read. After he survives a sudden nuclear war (camping out for lunch a bank vault...), Bemis gets his wish. He goes to the ruins of the library and picks out every book he would like to read, but then the tragic happens: his reading glasses shatter. Based on a short story by Marilyn Venable, "Time Enough at Last" is a brilliant episode of the classic science-fiction series, and yet it is one of the few Twilight Zone episodes in which the punishment does not fit the crime. Mr. Bemis is a gentle soul, one who does not deserve so terrible a fate. A vision of the 23rd century, Gene Roddenberry's Star Trek (1966 - 1969) promised a future in which, even with advancing technology, books would not disappear. 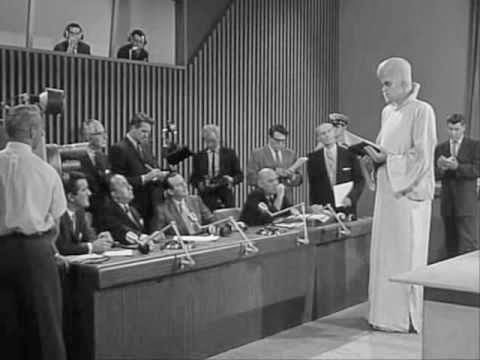 The first season episode "Court Martial," for instance, featured an attorney, Samuel Cogley (Elisha Cook Jr.) who keeps books in his office for purposes of research, and used them to help him win his cases. Similarly, Star Trek: The Next Generation, set a century later, suggested that books would go to the stars along with man. 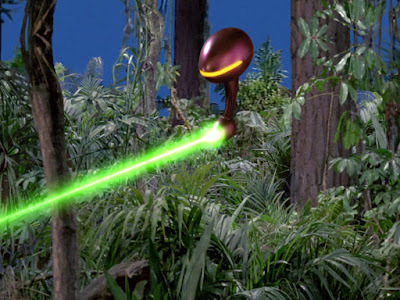 One second season episode, "The Royale," involved a dime-store novel that was converted into reality by a kindly alien race that had inadvertently harmed an astronaut and his crew, and sought to make reparations. 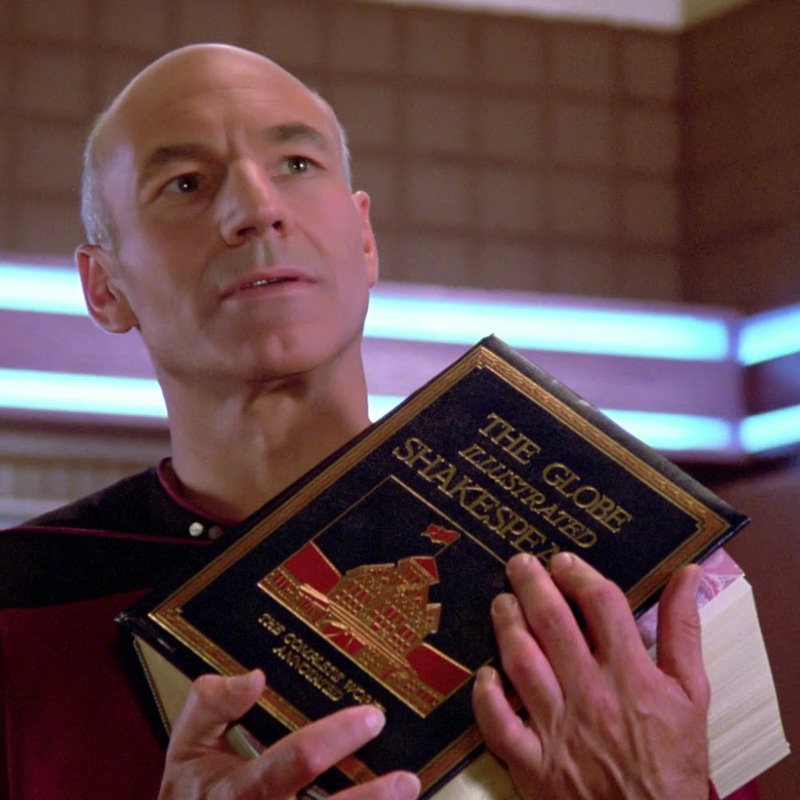 Meanwhile, throughout the series, Captain Picard's (Patrick Stewart) volume of Shakespearean plays was often seen in his ready room. In "Hide and Q," Q (John De Lancie) even read lines from Hamlet. In both the live-action Planet of the Apes (1974) and animated series, Return to the Planet of the Apes (1975), books played a crucial role too. Books written by man were direct, incontrovertible evidence that simians had not always ruled the planet. 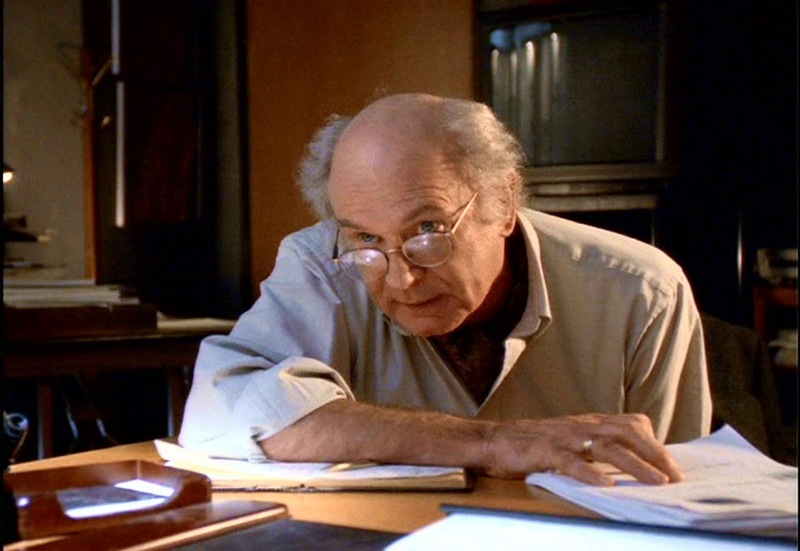 In Chris Carter's The X-Files (1993 - 2002) and Millennium (1996 - 1999), pop writer and cynic Jose Chung (Charles Nelson Reilly) was featured. In "Jose Chung's From Outer Space," the ironic writer investigated a teenager's questionable claims of alien abduction. And in "Jose Chung's Doomsday Defense," he exposed the strange cult of Selfosophy. Buffy the Vampire Slayer (1997 - 2003) also featured books by the shelf. Buffy's watcher, Giles (Anthony Stewart Head) was a librarian, and the first gathering space for the Scooby Gang was his library in the high school. Every week on the program, old occult books were brought down from the stacks so Buffy, Willow and Xander could research the monster of the week. One episode in the third season, "Gingerbread" explicitly concerned book-burning, and the (horrible...) idea that books should be destroyed so as to protect (or shield...) the minds of the young. 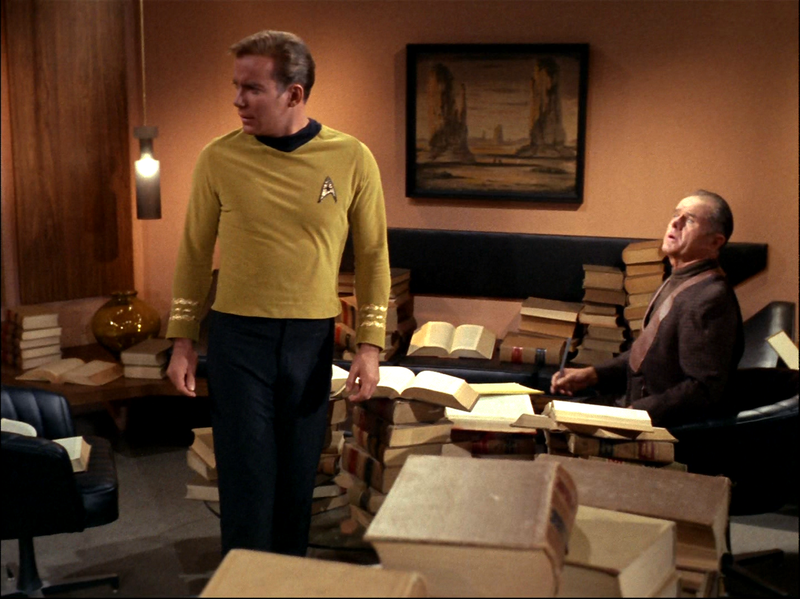 Over and over, throughout the years, books have appeared in many such cult-tv episodes. A book called Futility appeared in an episode of One Step Beyond (1959 - 1961), about the sinking of the Titanic. And a book also found its way into the hands of technician Anton Zoref in the Space:1999 story "Force of Life," even though he was stationed on Moonbase Alpha. More recently than either of those two examples, Damon Salvatore (Ian Somerhalder) was seen reading the vampire novel Twilight in the first episode of The Vampire Diaries (2009 - ). And let's not forget that the novel Planet of the Apes has as the central part of its framing story a manuscript.